Dedicated software for the design of Progressive Dies and Press Tools providing a more productive and efficient design experience by helping the designer with intelligent decisions, reducing the potential for error and greatly improving manufacturing productivity. Construction of a die block from source CAD model using a combination of solid & surface techniques. 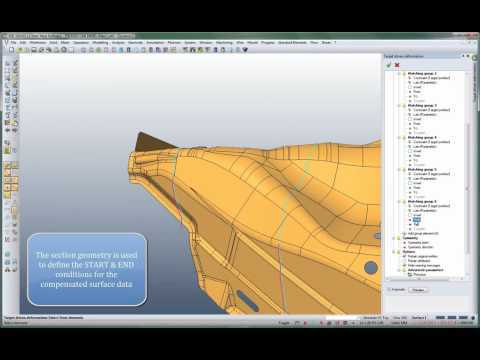 This movie shows skin extraction, trim edits, tangential surface extension, fillet creation and boolean operations to close to a solid model. Step by Step unfolding allows the designer to plan each forming stage by dynamically adjusting bend angles. Flexible editing allows the removal or addition of extra stages providing the user with complete freedom for unfolding experimentation. 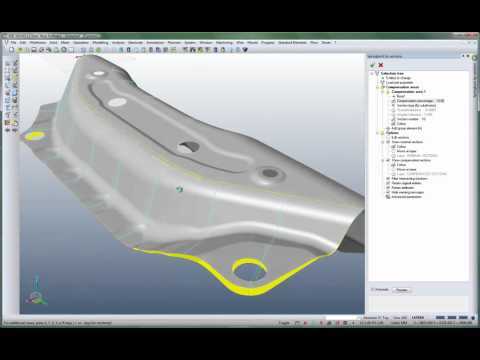 Multi-Step development of 3D press form using a combination of manual modelling techniques, hole filling, blank development onto custom binder and material thinning analysis to highlight part creasing or tearing. It is often necessary to edit complex panels after running a press trial. Due to part wrinkling or material thinning causing tearing, the fillet radii are typically modified in an attempt to compensate. See how VISI has automated this process.